Hotstar Downloader: Though there are numerous sites to watch videos online such as YouTube, Vimeo, Voot, etc. in recent years, the Hotstar website has grown to be one of the most popular websites to do the same. It is one of the best sites to visit to catch up on TV shows, movies and especially sports games such as cricket, football, etc. During its initial creation in 2014, the application allowed only for the streaming of cricket videos from the channels hosted by Star India. However, later, it grew to include a variety of other options such as TV shows, movies, etc. Today, the site not only allows you to host videos from international platforms but also enables the streaming of a variety of Indian live sports channels as well as TV show streaming channels such as Star Plus, Life OK and Star sports among others. Furthermore, the quality of the videos, as well as the speed with which they buffer, puts this service above many others. Although the application was extremely popular one of the issues that users faced was the inability to watch videos in an offline mode. They may have also wished to download the videos to show or send to their friends. 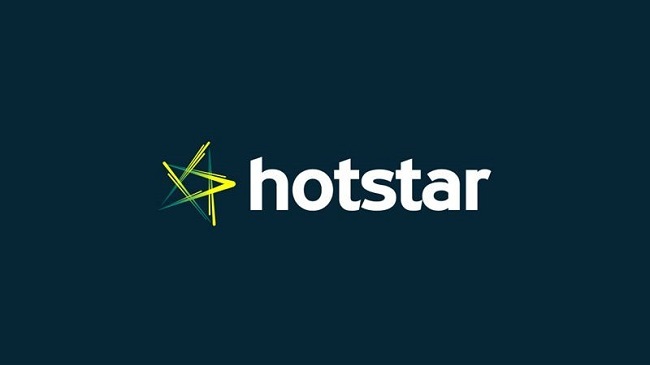 To combat this issue and keep the success of the application going, other Hotstar Downloader applications started emerging which allowed the users to download the videos from the Hotstar website. These apps finally let users save videos and watch them later, even in the absence of the internet. Below are Some of the primary ways to download videos using the Hotstar Downloader. Download the Hotstar Downloader software from their official website or another third-party site. Make sure to have the appropriate anti-virus software on your PC. Once the download is complete, extract the RAR file that appears. Next, open the Hotstarlivestreamer from the folder you had extracted. In the Command Prompt box that appears, paste the link of the selected videos, tv shows or movies that you wish to download and click on enter. Type in the quality of the window that you wish to download and then type “d” and click on enter. This will begin the download after which, you can locate the video in the video section of the extracted folder. This is a third-party tool that allows the user to copy and paste the required video’s URL into the website, which then converts it into a downloadable file. In this method, the videos can be downloaded directly using the Hotstar app itself. Download and install the Hotstar app from the Google Play Store or the App store for Android or iOS respectively. Launch the app and search for the videos you wish to download. Once located, open the video and check to see if the video is available for download or not. If it is available, scroll to the bottom of the video that is playing and locates the “Download” option present under it. Click on the option and in the box that appears, select whether you want the quality that the video you want to download in the range of High(720p), Medium (360p) or Low (180p). Internet connectivity should do this. If the connectivity is weak, then it will undoubtedly take a lot longer for the videos to download in High or even Medium quality. Do this once and, wait for the download to complete. This will store the video on your phone. Hence, you can enjoy it at any time without connecting it to the internet. Note: The only drawback with this method is that you can download only those videos which are selected by Hotstar. Thus, the variety of videos that can be downloaded would be quite limited. This is one of the most popular applications among the Hotstar Downloader applications. Search for and open the video which you want to download and copy the video’s URL. Go the Acethinker Video Downloader and paste the URL into the box provided. This will generate the video’s URL into links which can be downloaded. Click on the “Download” button and then choose the quality (4K, 1080P, 720p, 480p, etc.) in which you want to download the video. Wait for the video to finish downloading and then try to play it in an Offline mode. Note: Most of the third-party websites from which videos can be downloaded using this method to download videos from sites like Hotstar, Voot, etc. Videoder is one of the highest range applications. You can use this to download a wide range of videos from all over the internet. It can also be in use to download videos from sites apart from Hotstar like Sony. Thus, it is an excellent alternative to downloading videos from Hotstar directly. Open the IDM software and select “Options”. Go to “File Types” and add “TS” and then press ok.
Next, open the video you wish to download on the Hotstar website. Select the “Download this video” icon located in the right corner of the screen. Next, select an appropriate video size that you wish and the video will begin downloading. There are numerous Hotstar Downloaders to download Hotstar videos. We hope that this article gives you an overview of the multiple methods of downloading videos from Hotstar.